Lunch: Tuesday - Saturday: 12:00pm - 2:30pm Dinner: Sunday: 5:00pm - 9:30pm Monday &Tuesday: 6:00pm - 9:30pm Wednesday & Thursday: 6:00pm - 10:00pm Friday- Saturday: 6:00pm - 10:30pm. Valet is located in front of the restaurant at 8474 Melrose Avenue. On street also available. 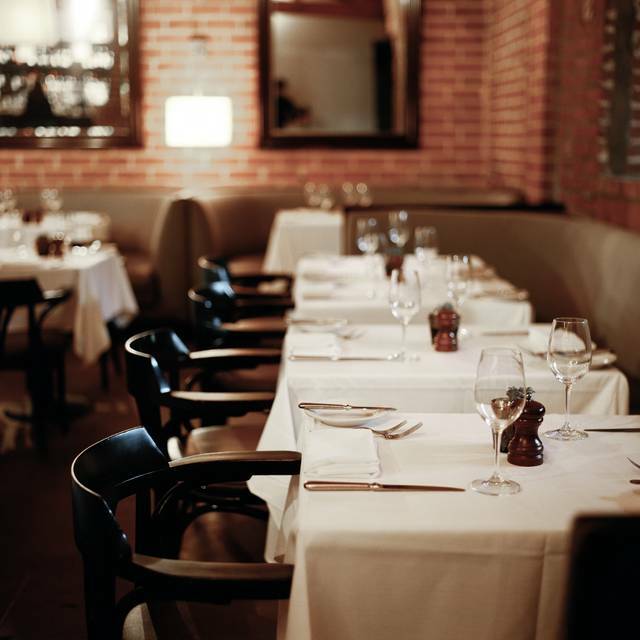 Lucques can cater anything from a small, intimate gathering, to a full scale gala event. Past events and clients include the Screen Actors Guild Award Dinner, GQ Magazine, The UCLA Hammer Museum, Vanity Fair Magazine and many private individuals. For more information please call us. 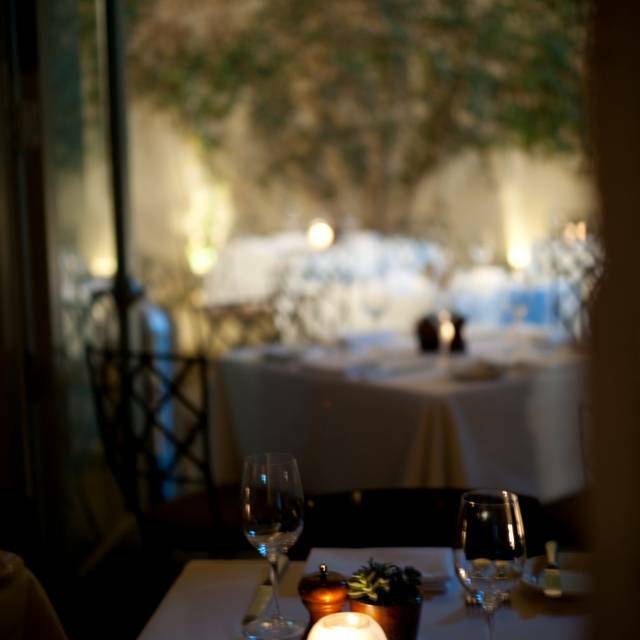 Dining at Lucques is a singular experience. It’s undoubtedly fine dining, but in a wonderfully comfortable environment. We are fully capable of bringing that identical experience to your private functions. 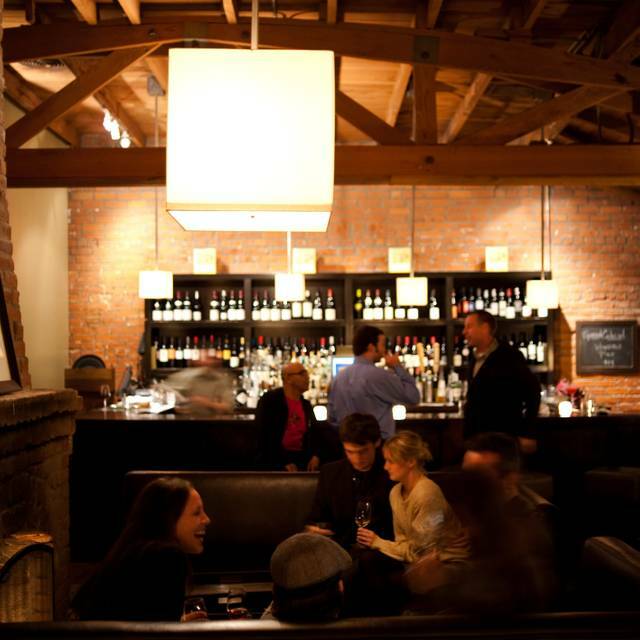 From the exposed brick and inviting hearth a the center of our main dining room to the all season garden area, the spaces we can offer your large group are equal for any occasion. Whether it's a cocktail reception or a seated dinner, our restaurant staff can create an event as special as Chef Goin's award winning cuisine and as unique as Caroline Styne's artisanal wine list. For more information please call us. Since opening in 1998 Lucques has garnered extraordinary accolades and is now recognized as one of the country’s best restaurants. 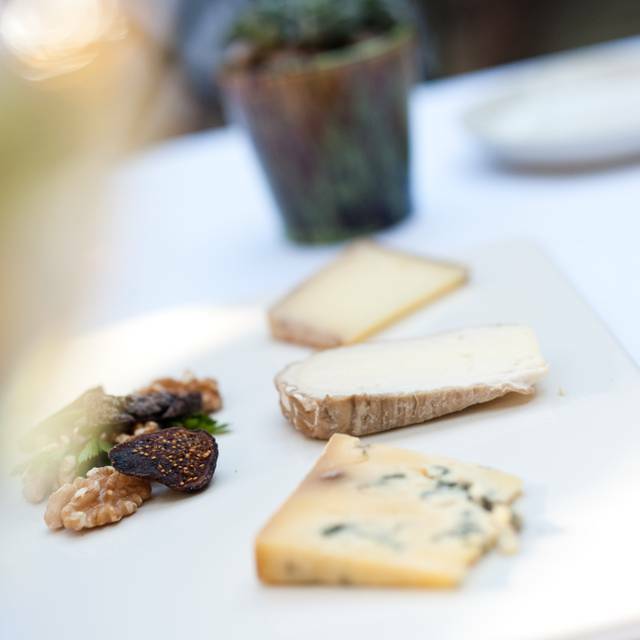 It's California cuisine with French and Mediterranean influences is served in the warm and intimate setting of the rustic carriage house of the original Harold Lloyd estate. One of the reasons for the all the acclaim is the Sunday Supper, the night that best exemplifies the original mission of owners Chef Suzanne Goin and Sommelier Caroline Styne, by offering seasonal prix fix menus that re-create the atmosphere of a relaxed family dinner. Lively atmosphere, food, wine, wait staff—could not have been better. Table for 2 a bit small, making food delivery a bit cumbersome, but not critical. It was a fantastic birthday dinner, with superb food and stellar service by Simone. The Sunday Supper menu featured appealing spring dishes that were perfectly executed by the kitchen, including a memorable side of salmon—and while I did not expect a substitute for the meat course I declined, a delicious one was provided at the server’s initiative. The scrumptious but not too sweet berry shortcake for dessert arrived complete with a special birthday message. The ambiance would have been perfect if it were not for the noisy toddler in the corner who launched his sippy cup across the table, requiring the server to clean up the resulting mess. A few years ago during our anniversary dinner on the patio, we were disturbed by a crying infant. We continue to return, hoping to catch a child-free evening, so it clearly hasn’t deterred us. The food and service are certainly among the best in the city. Beautiful place. I always have good experience there. Another nice Sunday Supper at Lucques. This one was pricier than normal but it did come with an extra course. A special shout out to our server Simone and our host Tony who are always friendly and professional as well as the wine guy James who got the night off but was still at the restaurant. A very special shout out to the pastry chef. The food is always good, but the dessert items have consistently been extraordinary. This was a cocktail oriented event which may explain a much louder than usual crowd but even so, not as noisy as some downtown restaurants. It was a wonderful and fun night. We love the cocktails Christiaan Rollich makes and were excited to attend the event and also get his new book. He makes the most amazing cocktails and we loved the pairings done with the meal. Can't wait to try out recipes in his book! Lucques always has superb dishes and we were happy we didn't miss out on this evening. Lucques is a solid, go-to restaurant. The food quality was excellent, but it fell short this time in two regards. It wasn't clear who our server was -- and we waited at times to order. Moreover, the bathroom was subpar, particularly for a restaurant of this caliber and cost. The lack of hand towels to open the door with is a negative as are the hand dryers which are almost impossible to use without touching them. Hard to enjoy a very pricey dinner and not feel like your hands are clean. Unfortunately Lucques has gone downhill since the last time I was there. It showed in the lack of tables filled on a Friday evening. The food was under spiced, lackluster and downright boring. The wine selection was also mediocre. I had to try several before settling for a glass. It’s such a shame because lucques has a beautiful interior, great service, and is well known for its food. I hope the food turns around soon. Having returned to Lucques after some time, I am delighted to find it hasn’t changed. My martini was exceptional. Everywhere I go I have a kettle one slightly dirty martini and this was the smoothest yet. Then there’s that crusty bread and lucques almonds that feel so welcoming. Next we had a Farro pasta with Manila clams with chorizo. The Farro pasta was small as a triscuit and what stood out was the sauce and clams. Delicious! Next we ordered lamb and short ribs. The lamb was good and the short ribs were better, but by then we were too full to eat it all. But not to pass on desert, we shared a halva dish that was like a deconstructed baklava which was heavenly. Ms. Goin’s layered cooking and innovative dishes are still there! Exceptional! This is a special restaurant. 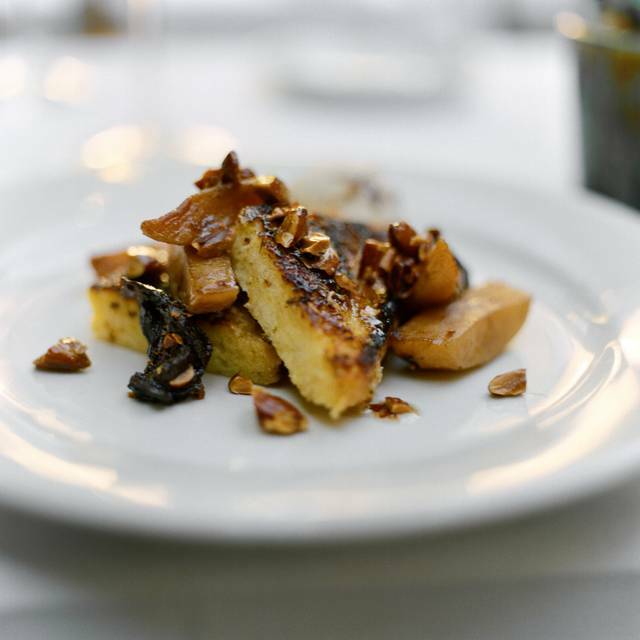 The food is classic Californian with a bit of a French twist and a whole lot of flavor. Everything is just a bit different and a lot better than you expect a dish to be. The flavors are layered and well thought out with an emphasis on what's fresh in the. marketplace. The service is friendly but never cloying and very professional. A great experience and a wonderful restaurant. It's nice to see that it's still wonderful after all these years. The Sunday Supper at Lucques has been going on for quite a while, but they manage to keep the levels of quality and inventiveness very high. We just had one of the great desserts of my long experience -- a pistachio and white chocolate "cheesecake" with whipped mascarpone and a rhubarb coulis on the side that was sublime -- and awesomely good farro gnocchi loaded with fresh spring veggies and covered with a scrumptious sauce; my wife wiped the bowl so clean with her bread it looked unused, something she NEVER does. Lovely butter lettuce salad with four kinds of citrus fruits and a light pesto dressing -- very spring, very fresh. They are always friendly, efficient, welcoming, and comfortable. The format is perfect for us -- each week we look at the menu in the e-mail, decide if it's for us (there are food issues in the family), and sign up when we can. Were it not for the issues, we would probably do this every other Sunday for the rest of our lives or until Lucques closes, whichever comes first . Sunday Dinners are a delight, particularly when the weather is mild and you can linger on the patio. They definitely belong on your “Must Do” list. This has been my favorite restaurant for over a decade. The menu is always changing and always amazing. The wine list has something for everyone. The service is spot on. I can’t wait to return! Great experience!!! They knew we were celebrating a special occasion and made sure to recognize it with a custom "Congrats" message on the dessert plate. Exceptional service stood out above all else. Food was fantastic. I rated ambiance a little below perfect because the tables are very very close to each other. I had to intentionally tune out the conversation at our neighboring table, which I imagine would be problematic if not impossible for some. The interior of the restaurant is tired . I have been coming here for more than a dozen years , and will continue- food and service was outstanding, but the ambiance is beneath the level of what it means to be a top restaurant today. Great food & service. Grapefruit vacherone dessert was the best. This Sunday Supper menu honored Laura Avery, one of the people that helped make the Santa Monica Farmers' Market what it is today. The meal was fantastic. To start: grand aïoli with farmers market crudites (among the most fresh crudites I have ever had, no joke!) & fava purée toast with pecorino and fava bean pistou. My husband and I had never had fava beans. We enjoyed these creamy little toasts. The main dish was spectacular. My husband STILL talks about the grilled market fish (halibut) with salsa verde. Weiser Farms potato-leek gratin & arugula salad with citrus, sherry and pistachios were very good as well. We were full when dessert arrived, but managed a few tastes of the rhubarb galette with mascarpone, strawberry compote and cream cheese ice cream. A delightful meal on a wonderful night. 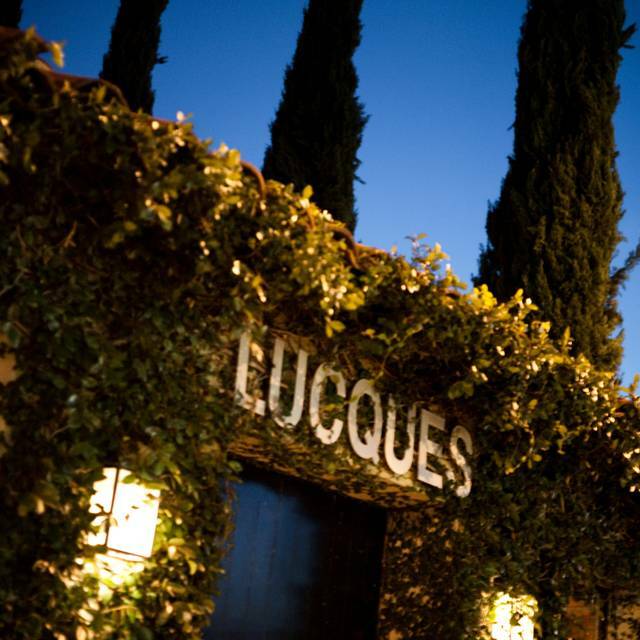 Sunday Supper at Lucques is a favorite and this visit didn't disappoint. Served family style (which is unusual for them) it was filled with absolutely delicious fresh vegetables, grilled halibut and a strawberry dessert. Every bite was beyond good. So happy to dine with them again. He food and staff are wonderful. 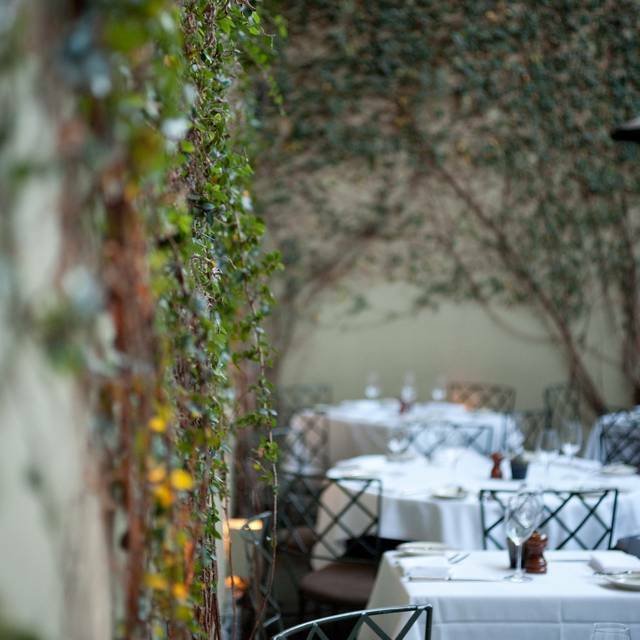 One of our very favorite restaurants in LA. Amazing! Sums it up, food, service, ambience. Made for a very enjoyable evening. Matt and the staff @ Lucques never disappoint. The food was expertly prepared and served, with really fine attention to detail. The fish of the day was swordfish, cooked over a bed of greens and squash that was full of flavor. The grapefruit vacherin and halva phyllo dessert finished off the meal with delicacy. 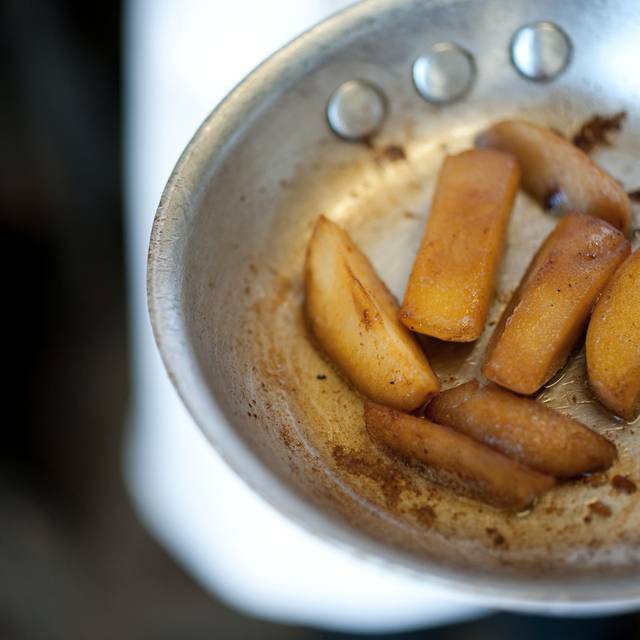 I read a review on Lucques (in the NYT or WSJ?) and it sounded like a real food place for people who know food. So we’re here visiting our son and everyone agreed we had to go. Loved the mixed crowd, and the food was excellent. Everything. I never have nothing but good things to say abt a restaurant. So thank you. It took us over an hr to get to you from Marina where we’re staying and it was worth it. It is rare to find a restaurant where the experience from start to finish has been so exemplary. I arrived early and solo (last minute business cancellation), but this seemed to be no issue to the hostess or staff. I was escorted to a nice table for two and immediately was offered water and 30 seconds later, the very able and very pleasant waiter, Sarah welcomed me. Because I had “cheated” and reviewed the menu on OpenTable beforehand; I had a good idea I might order the braised short ribs, so we discussed red wine options, settling on a bierzo. It was a perfect match for the beef: two fall off the bone short ribs over whipped potatoes accompanied by Swiss chard. A wonderful addition was a generous dollop of horseradish creme fraiche. If this weren’t enough pleasure, dessert was perhaps even better: “brûlée’d” thin cheesecake, covered with a creamy citrus sauce, a variety of citrus slices (including candied kumquat) and a spoonful of cara cara sorbet. Heavenly. Lucques was really good as it has been for years. Everyone from the server, to the wine man, to the manager, to all the people helping at the table and of course the people in the kitchen could not have been more accommodating. Thanks. Disappointed with the Corned Beef. Wine pairings and wine service EXCELLENT. We have eaten at Lucques many times, but this was our first with our teen age daughters who are 16 & 18. We all loved the experience, from the delicious and creative food including the desserts (we tried three of them) to the attentive service everything was excellent. We enjoyed our time as a family and the whole experience, and we strongly recommend this wonderful establishment. Outstanding all around. It was a slow midweek night, so nice and quiet dining experience. Great meal and service. This was “Sunday Supper”. I have always loved Lucques, but was extremely disappointed has with our experience last Sunday. The food was great but felt very overpriced for what it was. Service was OK but not great. I'd give it 5 stars but mushrooms with gremolata side was absurdly rubbery and tasted very basic. And the cheesecake dessert was far shy of a piece of cheesecake. And ridiculously priced. 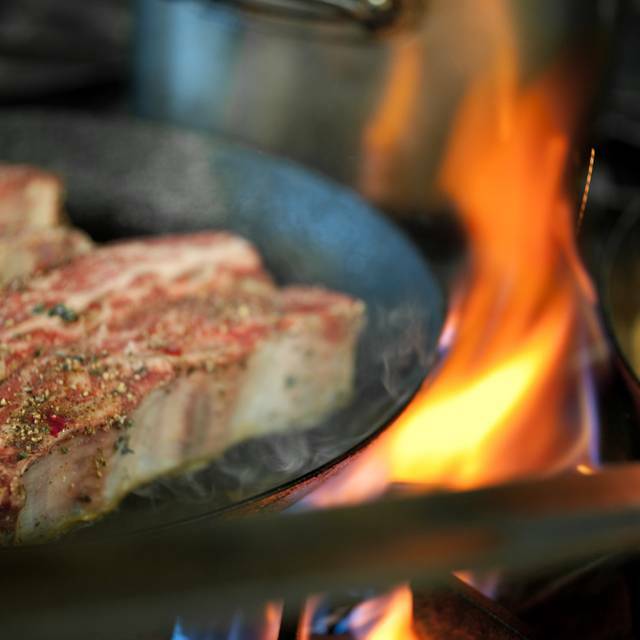 Exceptional food prepared and served by true professionals who are knowledgeable, warm and personable. Attended the annual cassoulet night and per usual it was three courses of ridiculousness... a delicious salad and dessert book-ending the main event: a giant pot of heaven. Great restaurant that I need to visit more often. We were there for Lucque's annual Cassoulet Night for the 6th time in the last 7 years. A truly great experience as it is any time you visit this classic farm to table restaurant.